I like to steep this leaf the way I do some large leaf Yunnan teas: I use the full measure of leaf (plus a pinch) and steep the leaf for 2 minutes. I pour that off into my cup and steep the leaf again with fresh water for a full 4 minutes. I add that liquid to the first and drink it all together as one large cup-full. 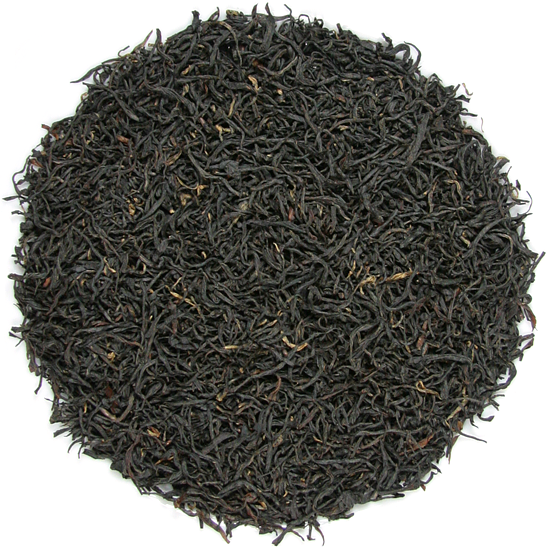 Sometimes a third steeping can be obtained using half the water and about 5 minutes steeping time. – deelish ! Sichuan Province is well-known for many things including the world-famous panda breeding station and research preserve, very spicy food, and being the gateway to both the Three Gorges river cruises and entry to Tibet. But among tea lovers this province in the southwest of China is most famous for being the birthplace of the first Chinese cultivated tea back in 56 AD. Today, throughout the mountainous areas in the province, tea bushes grow today in both wild and cultivated tea gardens. While 60% of this leaf is destined to become green tea, the 30% that is oxidized into black tea is world-renowned and Tea Trekker is always in pursuit of the highest grades of Sichuan black tea. 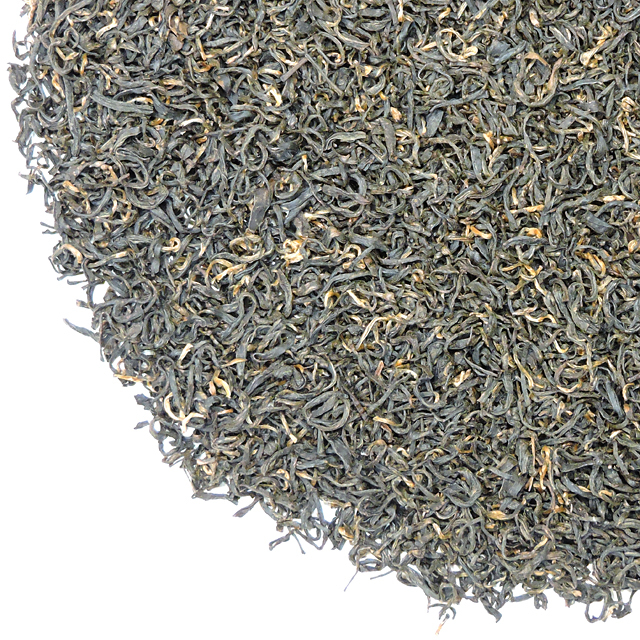 This delicious black tea is known by several names: in China it is known as Zao Bei Jian (Imperial Sichuan) and other times, it is simply called Sichuan Black. We here at Tea Trekker choose to use traditional Chinese names for our teas when possible, so we are using the traditional name for this classic tea: Zao Bei Jian. 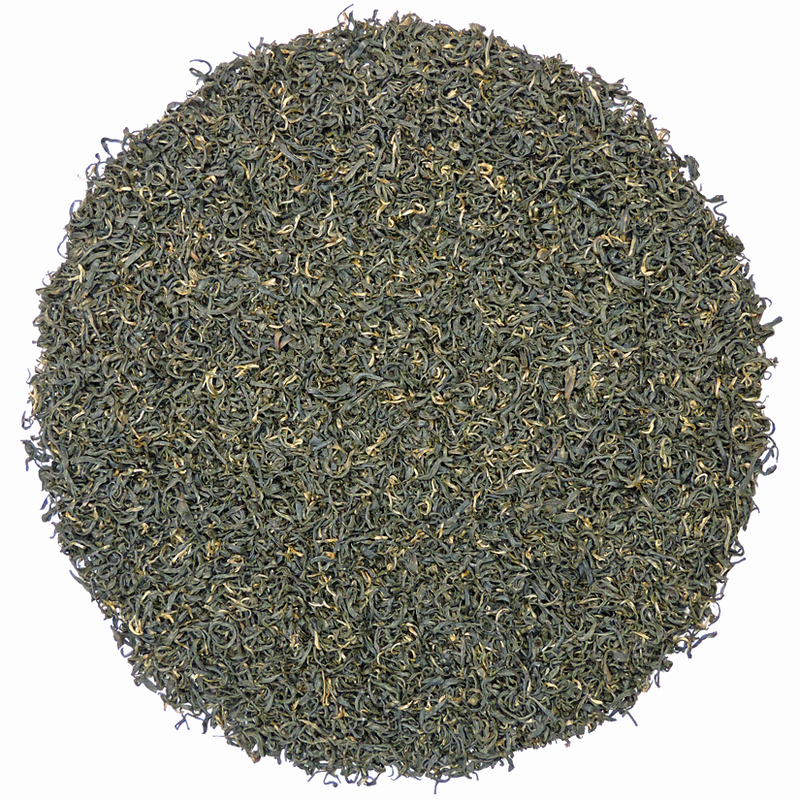 Imperial Sichuan is in the family of black teas that include Golden Monkey and Ying de #9 – in that they have a deep flavor profile and much of the chocolatey, cocoa-dry character that many associate with coffee rather than tea. 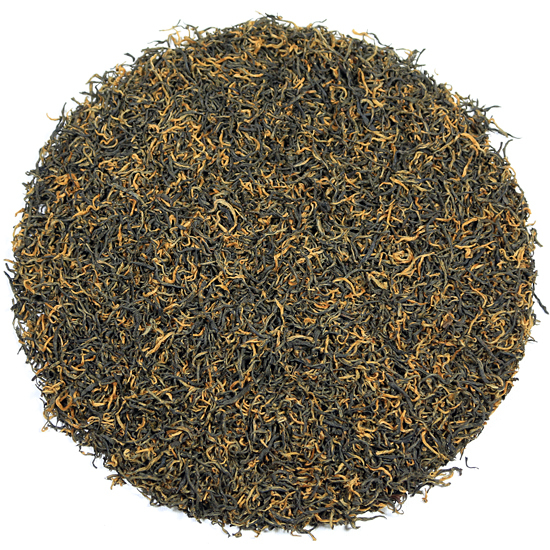 Big and full in the cup with a dark and mouth-filling style, Imperial Sichuan is a delicious tea when drunk black but can also support dilution with cream or milk. A little sweetener, while unnecessary, will not take away from the flavor of the tea. When we first visited Mengding Shan – the birthplace of cultivated tea – more than a decade ago now, we were immediately impressed with the graceful slope of the land and the ease with which tea bushes can not only grow there, but thrive in the foothills of the mountains that lead up to the Tibetan Plateau. It is definitely perfect tea bush-growing terroir. During a tea symposium that we were invited to participate in at the Agricultural University in Ya’an, we learned of the many native and clonal varieties of tea bush that are being studied and developed at this forward-looking and important agricultural school, and how the early pioneers chose Ya’an, Yibin and other local areas for learning as much as possible about both the botanical needs of tea bushes and how to encourage great tasting leaf from those plantings. We learned that students can study ‘tea’ via many curricula at these Agricultural Universities in China and ultimately earn a degree in tea science. Normally to have a career in tea in China requires 6 years of collegiate-level study (with no summers off !). We were able to visit the monastery at which the original research was conducted many, many years ago. This research was looking at developing new cultivars of tea plants and studying their composition in order to find the best cultivars for various manufacturing and weather-related needs. We were shown the 9 ‘original’ tea bushes (descendants of) that still live under protection on the monastery grounds, guarded by their granite white panther.